From the very first day, Steve Bannon made an impression. In a Harvard Business School classroom of about 90 people in 1983, he took a seat in the “skydeck” — a spot at the top giving him a view of the entire class. The marketing professor pointed up at Bannon, calling on him — without warning — and asking that he present the case study they were supposed to have read before coming to class. The case was on Fieldcrest blankets, the acrylic bedding available at most department stores. The tense classroom cracked up, and Bannon went on to deliver an impromptu presentation that many of his classmates remember today as so succinct and on point that some have joked that the professor must have told him he was going to get called on. The clearest public sense of how Steve Bannon and Donald Trump will work together can be gleaned from a series of one-on-one interviews on Bannon’s radio show. He continued impressing classmates the next day, too, breaking down another case study. The man who has become one of the most controversial figures of the nascent Donald Trump administration — a man who built his reputation as a rabble-rousing figure who promotes views that many view as racist and anti-Semitic — was then once just another high achiever. There was a class full of them at HBS, the finishing school for the nation’s traditional corridors of power and especially its buttoned-down financial establishment. He, like they, was gunning for a top Wall Street job, and wanted to make a lot of money in a hurry. And yet, as classmates recall, something set him apart early on. Brash even by Harvard standards, intellectually dominant but also easy company. Steve Bannon, second from right. What most can’t find in their recollections is the harshly divisive Steve Bannon they read about today. For two years, Bannon was educated by the top business professors in the country. In stadium-style rooms, he learned how to lead, how to market, and how to spot a business opportunity that could appeal to the masses. He has used some of those skills to help oversee a website, Breitbart News, that speaks to the angry edges of society, and to help elect Trump as president. He has helped upend the definition of a Republican in a way that few on that campus — one with many conservatives, but of the Reaganomics brand — could have envisioned. Interviews with more than two dozen of his former classmates illustrate that many view him as a brilliant thinker, even if they don’t always agree with his politics. He was gregarious. He was preppy, often dressed in a favorite yellow sweater. As one classmate put it, “He didn’t strike me as out of the mainstream.” Minorities in the class said he didn’t make them feel uncomfortable. A Jewish classmate said he never heard him say anything anti-Semitic. “I don’t think there’s a racist bone in his body,” said Thomas Meredith, who sat with Bannon in the skydeck. But there are also those who say that he had a controlling side that could take over the class, that he was high-strung — and could come across as abrasive to some of the women in the class. Bannon grew up in a working-class family living in Richmond. While home from Virginia Tech during summer breaks, he would spend long hours working at a local junkyard. After graduating from college, he joined the Navy, where he served on ships abroad before working at the Pentagon. While there, he earned a master’s degree in national security studies from Georgetown University. His path to Cambridge doesn’t look like a traditional one, but in some ways it very much was. But by the time he arrived on campus, Steve Bannon was more inspired by Ronald Reagan than Camelot, and ready to take advantage of an economy that was making life good for investment bankers. Bannon was 29, much older than his classmates who entered Harvard after brief stints at banks or consulting firms. 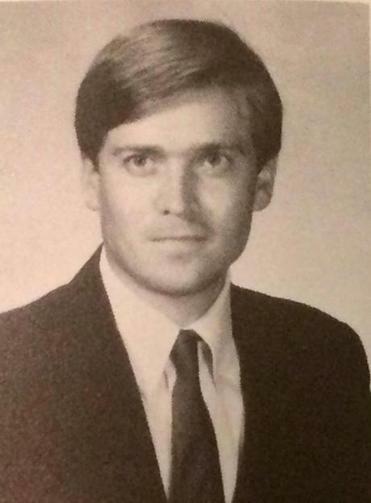 Unlike many, he was married: Several years earlier a Catholic priest had married Bannon and Cathleen “Susie” Houff,a young woman who, like him, was from Richmond and had attended Virginia Tech. They were still childless — a daughter would come several years later — and the marriage would end in divorce, the first of three for Bannon. A large tent was spread out on the leafy Harvard Business School campus, with its ionic columns and brick buildings. It was 1983 and the school was celebrating its 75th anniversary. A day or two before classes started, students began showing up by the tent to meet their fellow incoming classmates. Scot Vorse, a flip-flop-wearing Californian who had never traveled east of Denver, was wandering around, feeling a little out of place. Listening to new classmates — talking about McKinsey this and consulting firm that — only further alienated him. Then, Bannon approached. He seemed to have a knack for looking after those who were younger, those who weren’t sure they belonged. Not long after introductions, Bannon asked Vorse to be in his study group, the beginning of a crucial relationship. The two men would grow extremely close, later working together at Goldman Sachs, forming their own financial firm, and joining forces at Breitbart. On election night, Vorse was one of those Bannon called. Steve Bannon during his Harvard years. “Our relationship went from little brother-big brother, to equal brother,” Vorse said. It was heady times on campus, with a Wall Street boom that made almost every business student on campus desirable to corporate recruiters. Few had trouble finding a job. The business school distributes first-year students into a number of sections that are about 90 students each. They stay in the same classroom for about eight hours every day, so those in Section H with Bannon grew to know him intimately. Grades are determined based on how well people perform against one another, which can foster intense competition. About half the grade comes from class participation, putting further pressure on an already driven crop of classmates. Early on, Bannon was elected the representative from the class to be the liaison between the faculty and those in the section on the verge of flunking out. It was one of the most powerful positions in the section, since the program was set up to fail some 7 percent of the class as a way to foster competition. It was up to Bannon to argue for someone to be saved — or not. He was fit and trim, always clean-shaven, and naturally tan. His posture was ramrod straight, and his handshake firm. He was almost always in khakis, a pressed shirt, and a sweater. He reminded some classmates of Robert Redford. And while he may have grown up middle class, and lacked an Ivy League pedigree, Bannon seemed to fit right in. He was an easy presence at weekend parties at a classmate’s home in Somerville, or hanging out on Friday afternoons in a business school pub, which is housed in Gallatin Hall, a Georgian Revival-style building and one of seven HBS buildings named for secretaries of the US Treasury. 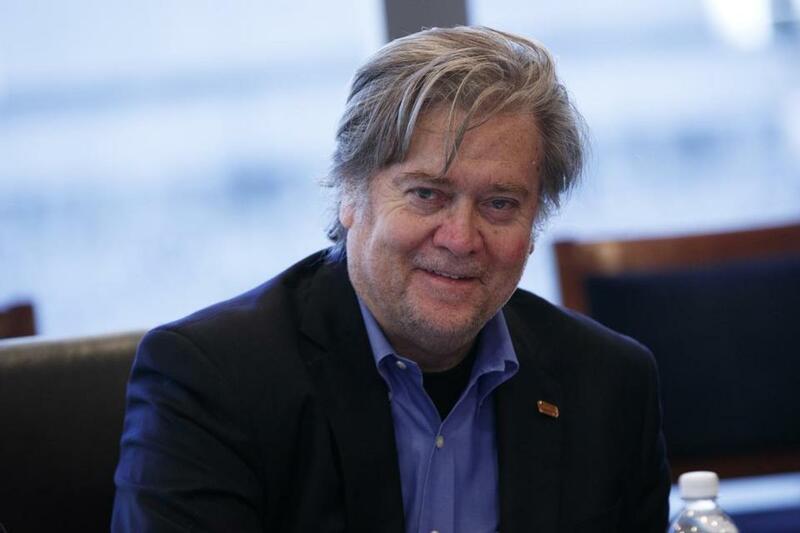 A sports fanatic, Bannon made sure to get to a few Red Sox games and he played intramural basketball and football. He and Vorse drove up to Maine to visit Bannon’s brother, in an old car with a heating system that barely worked. They went on trips to look at fall foliage. The group got together almost every night, Sunday through Thursday, alternating who would host, and spending hours debating and going over the case studies they were supposed to be familiar with for the next day’s class. “Steve is as good as anybody at getting through the noise, deciphering the issue, and deciding what’s relevant,” he added. 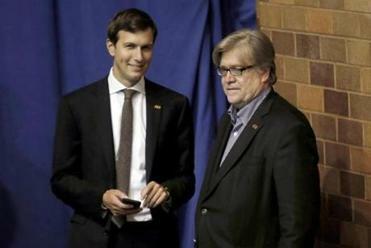 Bannon’s study group proved adept at teaming up during classroom discussions. Among those in the group was Matthew Bronfman, an heir to the Seagram distillery company and one of the country’s top Jewish philanthropists (Bronfman did not respond to requests for comment). “As a result of its size and makeup, the group was very effective in supporting its members’ class participation, critical to survival,” said Paolo Pellegrini, one of Bannon’s former classmates. Still, Bannon would hang back at times, quite literally. Hisseat in the back suggested he wasn’t overeager like those in the front row. Nor was he simply trying to blend in and avoid being called on, like those in the middle. The professor rarely made it up to the top row. Students could pass notes, newspapers, or cartoons around without being easily spotted. “Ultra eager folks, trying too hard to contribute,” said David Allen, a classmate who sat in the back with Bannon. During the first year at business school, most students covet jobs during the summer that will put their careers on a glidepath. And few jobs were as sought after as a summer associate at Goldman Sachs. Hundreds of students would vie for what often amounted to about 20 slots from Harvard. Bannon, who declined requests for an interview, recounted last year to Bloomberg Businessweek that his age and Navy background made it difficult to get many places interested. But he was invited by a Goldman Sachs representative to a campus recruiting party. “We have the greatest conversation about baseball, and I find out after half an hour it was John Weinberg Jr., whose dad runs the firm, and a guy named Rob Kaplan, who became a senior partner,” Bannon recalled. Bannon told the magazine that Goldman executives gathered that night to discuss prospects, and one of the recruiters later told him how the conversation went. After the summer job, Bannon came back during his second year as an on-campus recruiter for Goldman Sachs. It was through those connections that he helped Vorse also get a job at the prized firm. Bannon grew up in a Democratic household, and he has recounted how he began questioning the party during the Carter administration. During his years as a naval officer, he was in the north Arabian Sea amid the Iranian hostage crisis and he lost all faith in Carter. “You could tell it was going to be a goat [expletive],” Bannon told Businessweek. By the time he arrived at Harvard, his conservatism was blossoming. Most of the lessons were done by Socratic method, with intense discussion on a range of issues. Almost from the beginning, classmates noticed two things about Bannon: a rigidity that was formed from his years in the military, and his deeply held political beliefs. The class wasn’t exactly diverse, and only about one-fifth of his section was women. But few recognize the harsh portrait they read of Bannon now. During one class discussion, a student from China disagreed with a point made by another classmate, a West Point graduate. Bannon, apparently troubled, approached the Chinese student. The student, Chinghua Tang, recalled telling Bannon that he did have high regard for the US military. He added that he wished the United States had prevailed in the Korean War, and that he wished Vietnam had turned out differently. “Steve said he was happy to hear what I said and it was quite different from what he had assumed,” Tang said. But some detected another side to him. One female classmate described Bannon as an “alpha male” with a bearing and attitude that made some women uncomfortable in class. Vorse denied that his friend had any such qualities, then or now. “This garbage never, ever came up” in class or later in their business career. 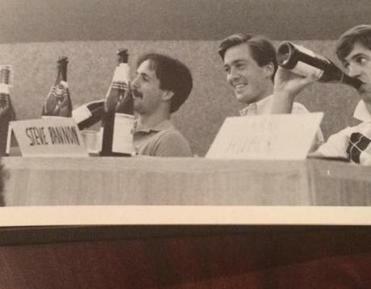 In preparation for the 25th reunion of Bannon’s HBS class in 2010, the attendees submitted updates about what was going on in their lives. After expressing pride over his three daughters, he turned back to politics. 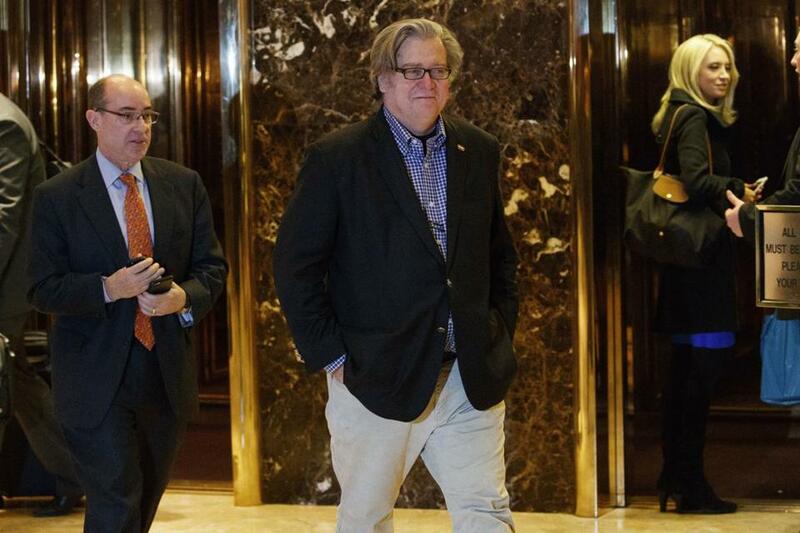 Steve Bannon left Trump Tower in New York on Nov. 11. Classmates remember him wearing his conservative beliefs like a badge: He would carry it into almost any discussion. Several of his fellow students are shocked at the comments they now see attributed to Bannon, and those that come out on Breitbart, the conservative website that he runs. A May 2016 article called Bill Kristol, a longtime Republican and Weekly Standard editor, a “renegade Jew.” In July, an article said that if women did not want to be harassed online, they should log off. 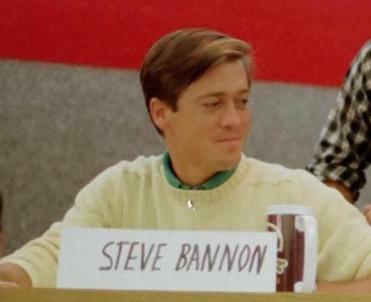 In that sense, the classmate said, they see Bannon now as the same brash and driven striver they saw 32 years ago when he joined their class. “A lot of people give him credit for being the brains behind this political revolution, almost as if it’s coming out of nowhere,” the classmate said. “That’s very consistent in the behavior I saw from Steve in the HBS environment. The perch Bannon will soon occupy as Trump’s chief counselor and strategist is no longer the fringe of the classroom, or the fringe of anywhere. It’s the Oval Office.